This gloriously gorgeous flower arrangement features an abundance of precious pink petals, from frilly pastel pink carnations to fresh pink roses and luscious pink snapdragons. Plumped with greenery and finished with a decorative ribbon, these flowers are just the thing for birthdays, thank yous, get well soons and new baby gifts! If you want to make this floral gift extra fab, take a peek at our range of quality gift add ons, including sparkling wine, seriously good chocolate, teddy bears and more. 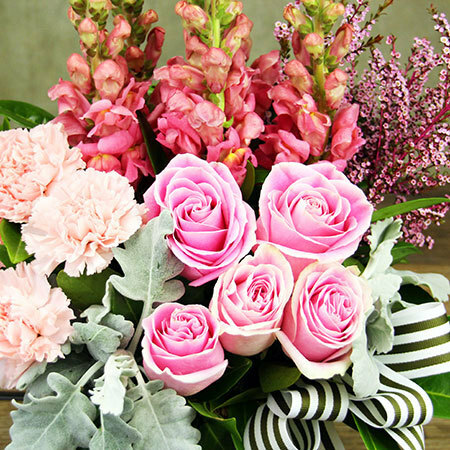 Order these pink flowers online, give our helpful team a bell on 1800 66 66 46 or email sales@flowersforeveryone.com.au. 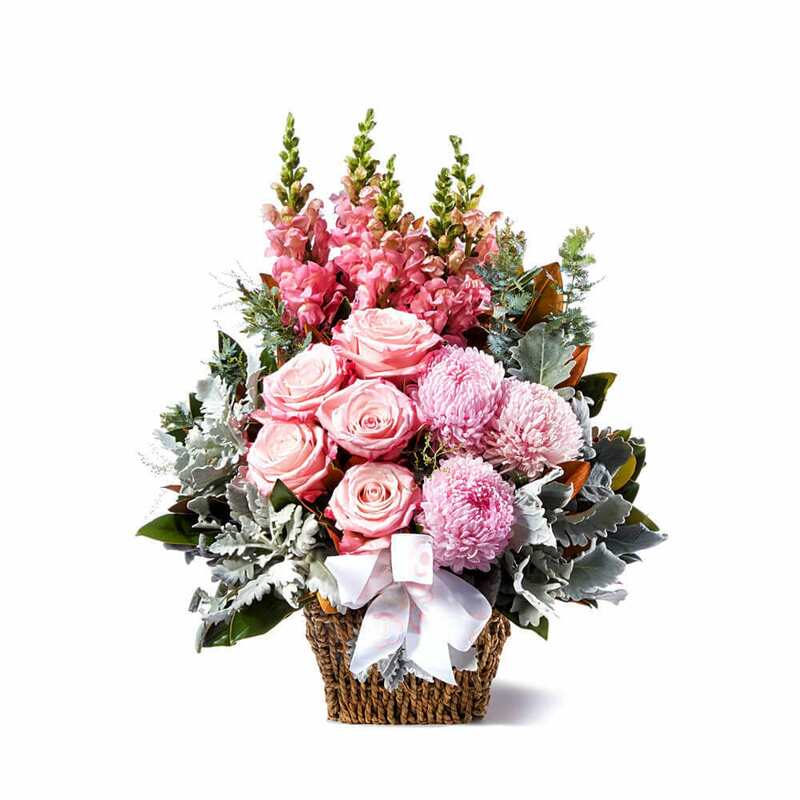 This arrangement is available for flower delivery to most major Australian cities. Some variance may occur in each state depending on market availability on the day of your order. 2019-02-22 Service rating : Hassle free experience. Friendly service and flowers delivered promptly. Product : Hassle free experience. Friendly service and flowers delivered promptly. 2019-02-08 Teddy bear was cute but the flowers looked very sad as compared to the display on the website. I know they don`t have to be exact but that was a shock! 2018-12-13 Service rating : Not good... my friend sent me picture of the flowers and it looks poor from the one I chose on the website. Product : Not good... my friend sent me picture of the flowers and it looks poor from the one I chose on the website. 2018-12-11 Service rating : Great efficient service, from ordering to delivery it was all great! Product : My friend loved the flowers! 2018-12-10 Service rating : The flowers I chose to be delivered to my daughter in Brisbane were only for Sydney delivery, so I had to go back to the florist and choose another arrangement. Of course, the assistant should have known this in the first place.However, I was happy with my second choice and the service I received on my second visit. Product : Lasted only a few days!!! 2018-11-29 Service rating : Received notifications that flowers were delivered. Prompt delivery also. 2018-10-30 Was Great, I was notified when the flowers were delivered!!! Very satisfied with the service. 2018-10-26 Last minute order and was absolutely beautiful!